DRIAV is the world's first auto insurer of autonomous vehicles exclusively. 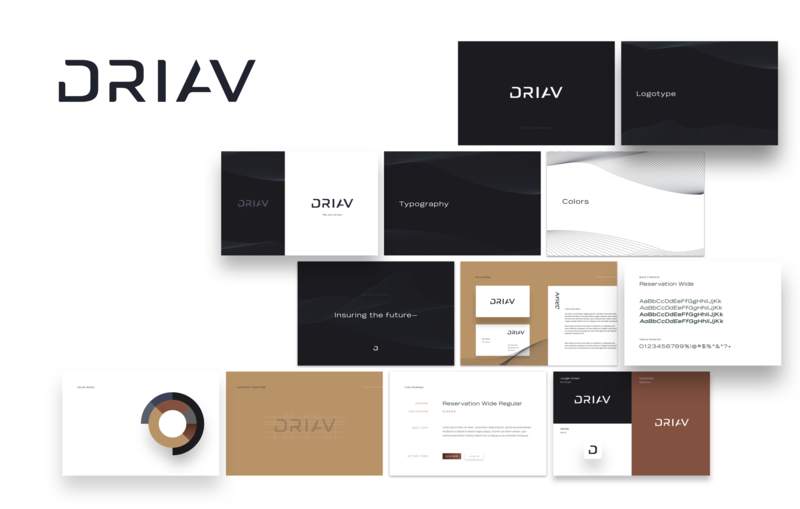 I helped DRIAV with their entire design architecture, from strategy and branding, to product design and everything in between. I was able to help them raise over $3 million dollars in seed capital and solidify a partnership with a larger insurer that would underwrite their insurance policies. During this process I became well versed within the Automotive InsurTech industry and gained a deep understanding of where the world is headed with autonomous technology. I helped DRIAV to launch an insurance pilot program exclusively with Tesla owners, so that DRIAV could get real feedback from autonomous vehicle owners and pilot their new approach to insurance. 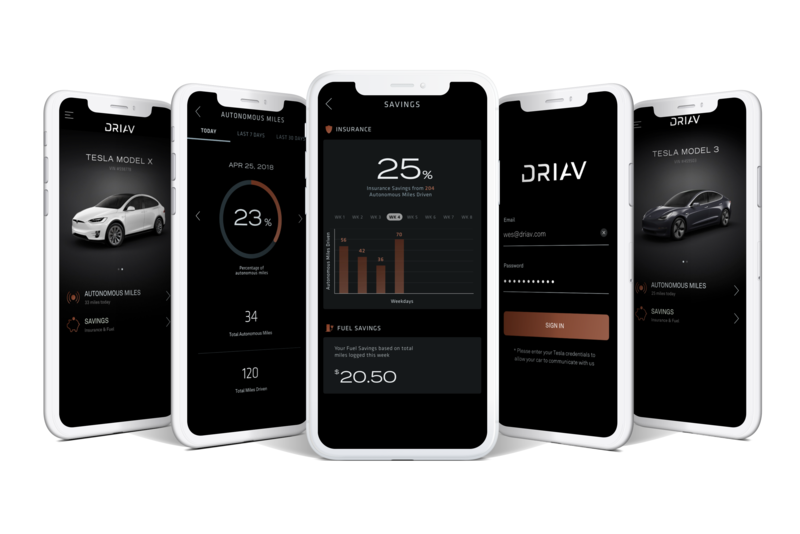 We created a native application for Tesla owners to download and track the number of autonomous miles they have driven per month. 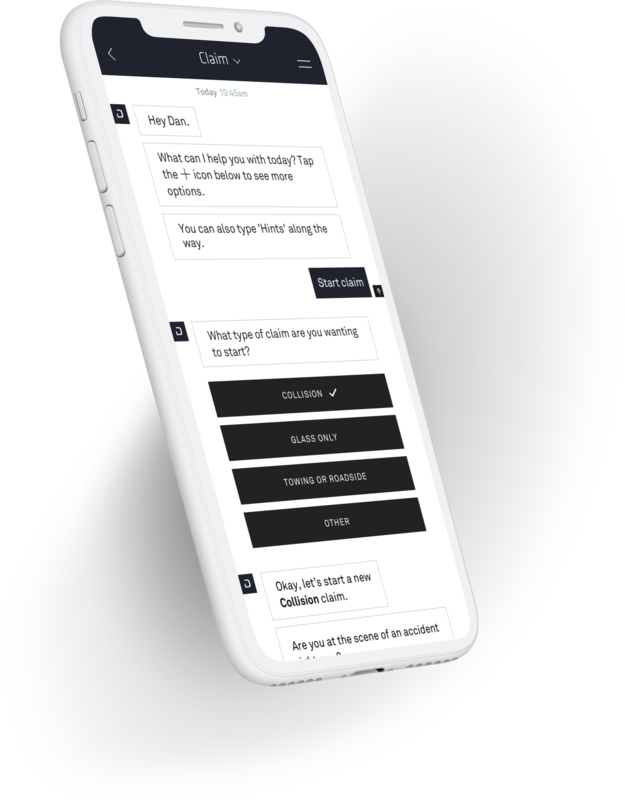 Instead of designing another typical insurance application, we decided to push the envelope and create an incredibly powerful chat bot interface. Any DRIAV end-user would be able to seamlessly chat with DARVI (anagram of DRIAV), a virtual insurance bot. I worked with a development team to create the extensive decision tree for handling any insurance inquiry that a DRIAV policy holder may have. 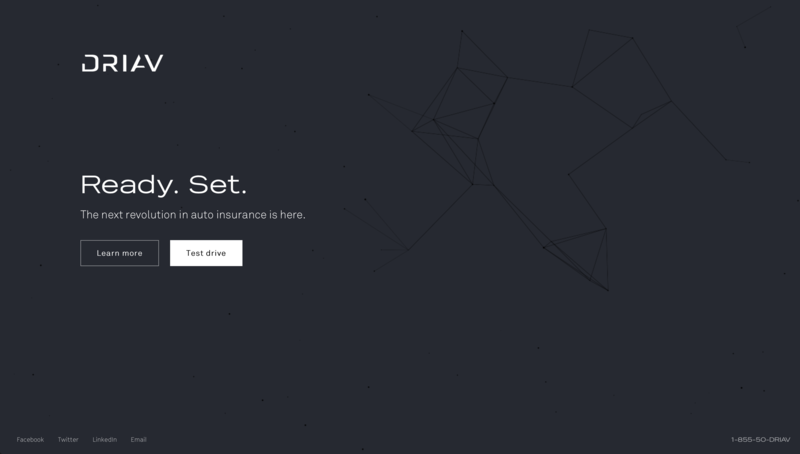 The next revolution in auto insurance is here. 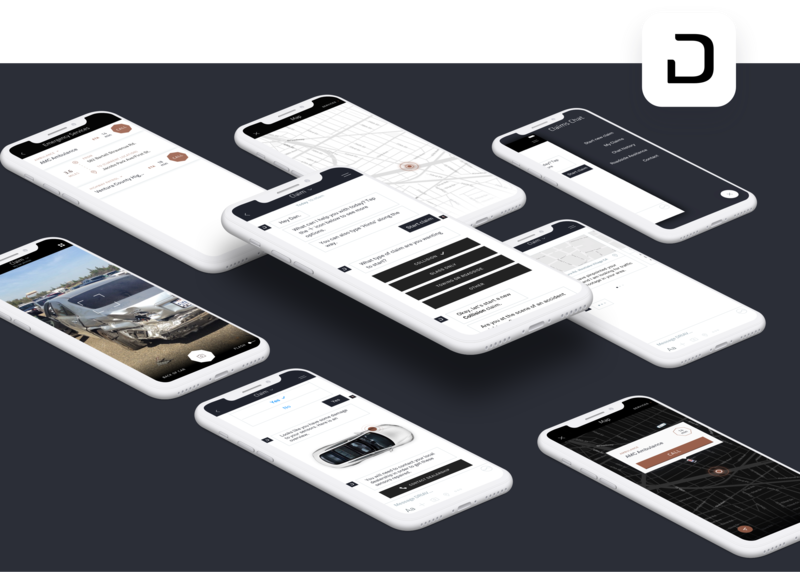 DRIAV places itself squarely at the forefront of the insurance revolution brought on by autonomous tech, so naturally DRIAV wanted to push their brand aesthetic to new heights. I helped them to achieve a custom elegant logotype that was both modern but simple. With a color palette inspired by the shifting of plate tectonics, we established a palette that imbibed an elegance that modernism would evoke, yet had a wholly different approach than any other auto insurer in the market today. A forward-thinking brand inspired by a forward-driven mission. If your car is doing the driving, who is liable in the event of an accident?